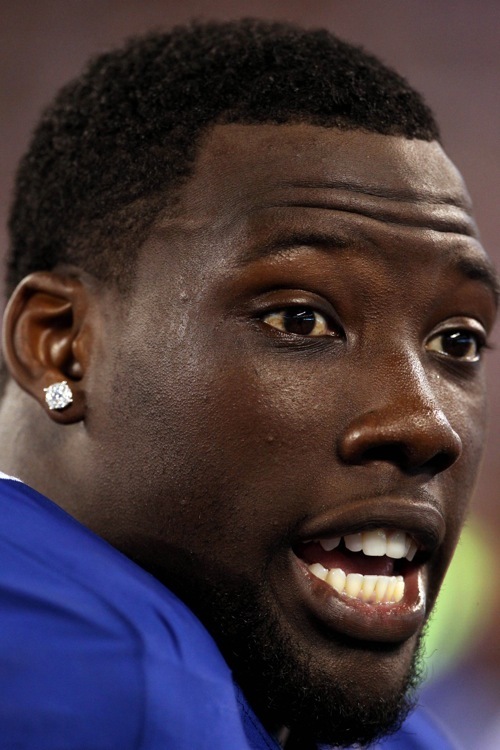 End of the Line for Jason Pierre-Paul and Antrel Rolle as Giants? 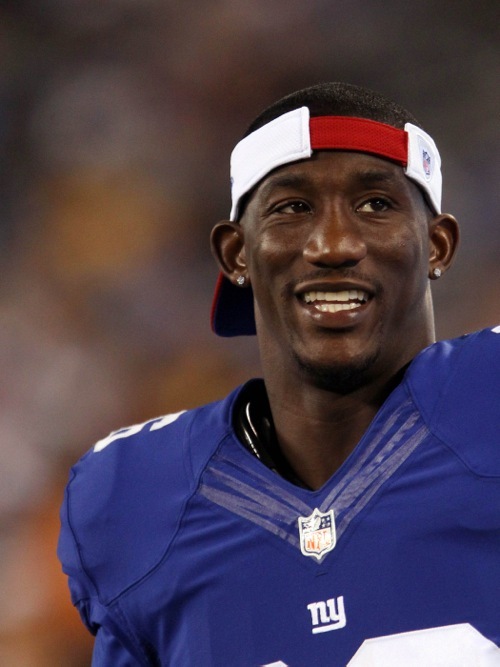 Defensive end Jason Pierre-Paul and safety Antrel Rolle both joined the New York Giants in the 2010 offseason. Now after five seasons, with their contracts set to expire after Sunday’s regular-season finale against the Philadelphia Eagles, both may be leaving Big Blue during the same upcoming offseason. Free agency begins on March 7 and JPP and Rolle will surely test the free agent waters if not re-signed by that date. Rolle signed a 5-year, $37 million contract with the Giants as a free agent in March 2010 after being cut by the Arizona Cardinals in a salary cap-related move. Pierre-Paul was the 15th player selected in the first round of the 2010 NFL Draft. Both were a critical part of the 2011 Giants defense that finished 27th in term of yards allowed during the regular season but got hot by year’s end. In the last six games that season – including four playoff games – the Giants held opponents to an average of less than 14 points per contest and won an NFL Championship. Initially Rolle had difficult accepting Tom Coughlin’s coaching methods. Yet he eventually warmed up to Coughlin and became an important leader of the defense. In five seasons, Rolle has never missed a game with the Giants. He has intercepted 14 passes and averaged over 90 tackles per season in 79 regular-season games. Rolle received All-Pro and Pro Bowl honors in 2010 and 2013, the latter being arguably the best season of his career. 2014 has been a down season for Rolle, who turned 32 this month. While he has accrued 79 tackles and three interceptions, he has not made many big plays on a defense that is currently ranked 28th in the NFL. Rolle still has talent, but he is an aging, 10-year veteran on a defensive team that needs a shake-up, an infusion of talent and speed, and may have a new defensive coordinator in 2015. “I would love to finish my career here,’’ says Rolle. “That’s not my call to make. This is a great fit. I feel like next year, when we get all our guys healthy and we can get on the same page at the same time, I think it’s going to be wonderful… It would be great to stay here with these guys and build something. Despite his down season, Rolle firmly believes he can stay play at a high level. And because of that, the odds are he will want to be paid well in what could be his final pro contract. How long does Rolle think he can play? “Who knows? Maybe at 13 (seasons),” said Rolle, “I’ll say two more (years). I’m just going with the flow and whatever my body tells me at this point. The Pierre-Paul situation is different. JPP turns 26 in January. His best football clearly could still be in front him. That said, Pierre-Paul has had difficulty recapturing his tremendous productivity from his sophomore NFL season in 2011 when he accrued 86 tackles and 16.5 sacks. Those numbers plummeted to 66 tackles and 6.5 sacks in 2012 and 27 tackles and 2 sacks in 2013. Pierre-Paul had surgery in June 2013 to repair a herniated disc in his lower back and he never seemed to fully rebound from that procedure during the 2013 season. He flashed some of his old form in Week 10 that year but also suffered a shoulder injury that caused him to miss the last five games of the season. JPP has rebounded in 2014 with 72 tackles and 10.5 sacks. Though he can be vulnerable to misdirection, Pierre-Paul is a very stout player at the point-of-attack against the run. And after a slow start in terms of rushing the passer, Pierre-Paul has sacked opposing quarterbacks seven times in the last four games. Much more was hoped for and expected in 2014, but JPP remains the one player in the front seven that other teams need to account for. If he leaves, the Giants will have a major hole to fill on a defense already pot-marked with holes. But bringing him back is not a no-brainer. There is a salary cap and JPP clearly believes he is one of the best defensive linemen in the NFL and wants to be paid like it. The Giants know Pierre-Paul has had inconsistent productivity the last three years, as well as back surgery and shoulder issues. JPP sounds much more intent on testing the free agent market and does not seem to be overly concerned with remaining in Giants Blue. On Friday, Pierre-Paul was asked if he expected to re-sign with the Giants. “I don’t know,” responded JPP. “Everybody asks me that question and I really can’t answer that question truthfully. I don’t know what my future holds. Who knows if I am going to be in a Giant uniform, who knows where I am going to be in the offseason. Like I said, now, the numbers are there, I had a great season, and everybody sees it. There really is nothing else to say, just negotiations and it is coming. “At the end of the day, it’s business, it’s business. Everyone knows that, even the fans know that, my family members know it, and I am going to make the best decision to better me and my family. “I‘d love to be a Giant for the rest of my career, but at the end of the day, it doesn’t always fold like that. Look at Justin Tuck, look at Osi Umenyiora, look at Brandon Jacobs, it doesn’t matter. Pierre-Paul was asked if he would give the Giants a hometown discount. Changes are coming on defense. At least they ought to be. In the last four years, the Giants defense has finished 28th, 31st, 8th, and is currently projected to finish 28th. Will Rolle and Pierre-Paul be a part of the rebuilding project moving forward? Should they be? The answers to those questions will be discovered in the next two months.